School Improvement Grants in 2010. The funding ends this year. 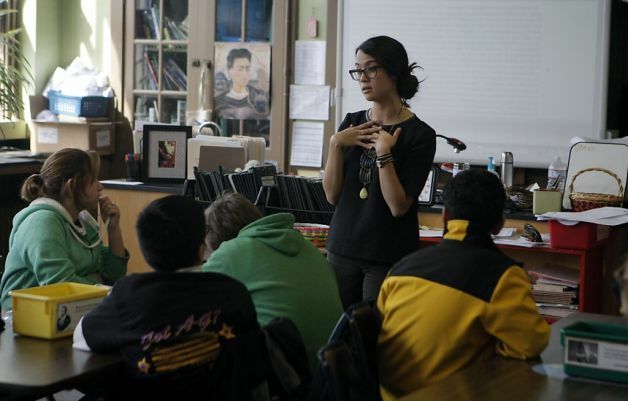 Nearly three years ago, San Francisco's Everett Middle School was labeled one of the worst schools not only in the state, but in the country. It was a run-down school with low test scores and teachers who didn't come back after summer break. Technology was sparse, as were books, and too few parents wanted to send their kids there. But with the lowest-of-the-low label came money. Lots of money. In 2010, the Mission District school received a federal School Improvement Grant of $4.5 million to spend over three years. It was one of nine schools in San Francisco, 92 schools in the state and 1,300 nationwide to get one of the grants. This year, the money runs out and education experts, academics and policymakers will all ask the same question: Did it work? The Obama administration wagered that pouring billions into struggling schools over three years would pay off in higher test scores and students who would excel for years to come. The federal funding - an average of $1,400 more per student - required schools to adopt one of four strategies: replace most of the staff; replace the principal and revamp teaching methods; convert to a charter school; or close. Beyond that, schools had a lot of leeway in spending the money. "Throwing a million dollars at a school does have some merit as long as it's planned for and spent wisely," said Diana Rentner, deputy director of the Center on Education Policy in Washington, D.C. "You just don't know how all of this plays out." It will be months or years before a final answer comes in, but experts say that early evidence shows the money has made a difference at many schools and that some of the improvements should last - at least for a while.